Retailers and marketers often face the challenge of getting coupons, offers and promotions delivered at the perfect time and in the right context to their customers. The rapid advances in cyber foraging, contextual computing and cloud computing platforms are succeeding at revolutionizing this aspect of the retail shopping experience. Context-aware advertising platforms and strategies can also provide precise audience and segment-based messaging directly to customers while they are in the store or retail outlet. That’s because problems with Amazon’s cloud computing service, which provides storage and computing power for all kinds of websites and services, caused Netflix to go down for much of the day. In updates on a website that reports on the status of its online services, Amazon traced the trouble to Elastic Load Balancing, a part of its service that helps spread heavy traffic among multiple servers to prevent overload. The company gave few details about the problems in its data centre in Northern Virginia beyond this and did not offer an official statement or explanation. In times of economic uncertainty and global financial turmoil, technology can again come to the forefront to play its part in making businesses and services to become more reliable and importantly more cost-effective and efficient in the daily routine of business processes. In today’s competitive world those who lag behind are destined to be left behind especially in regard to adopting and adapting to the changes in technology and its multi-layered benefits to the effectiveness and performance of the business world. Taking this into account, the organisation of this conference was both very apt and necessary to help and aid Malaysia to be at the cutting edge of this cloud computing technology. 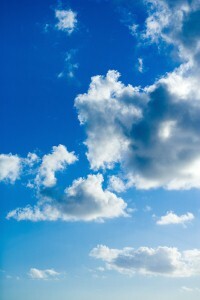 There is no question about it; cloud computing is going to grow even larger than it already it is in 2013. Traditionalist accounting firms will find it increasingly difficult to ignore organization's prevailing use of cloud storage internally and with their clients. According to a recent study by the AICPA, 11 percent of CPA firms already operate completely in the cloud. Another one-third of the 624 respondents reported using cloud software, such as bill management, accounting and payroll applications, in some areas of their practice. While the biggest concern surrounding cloud use is security, professionals around the world are benefiting from remote access to work data and information, forgetting about software updates, among other benefits.